The benefit of this may not be obvious at first until you understand that there are many, cheaper (and some more expensive) flash units that exhibit color deviations of 15 to 20 percent. If color is important to you, the ELB 400 delivers is spades. 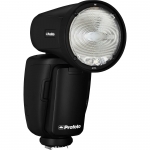 The ELB 400 offers two types of flash heads, Pro heads (green logo) and Action heads (blue logo). 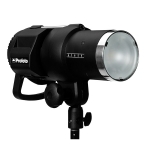 The difference in these heads lies in their flash durations, with the Action head delivering a maximum flash duration of 1/5700 sec at 1/3 of the power while the Pro head’s flash duration is 1/2300 sec at the same power. 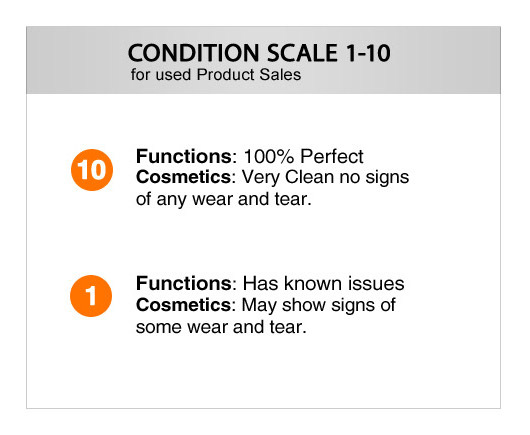 With these flash durations, you can feasily reeze most types of motion. The ELB 400 offers a slightly larger (6.9) F-Stop range then the Quadra (6.6), going from 7ws to 424ws over Quadra’s 8.6ws to 400ws. 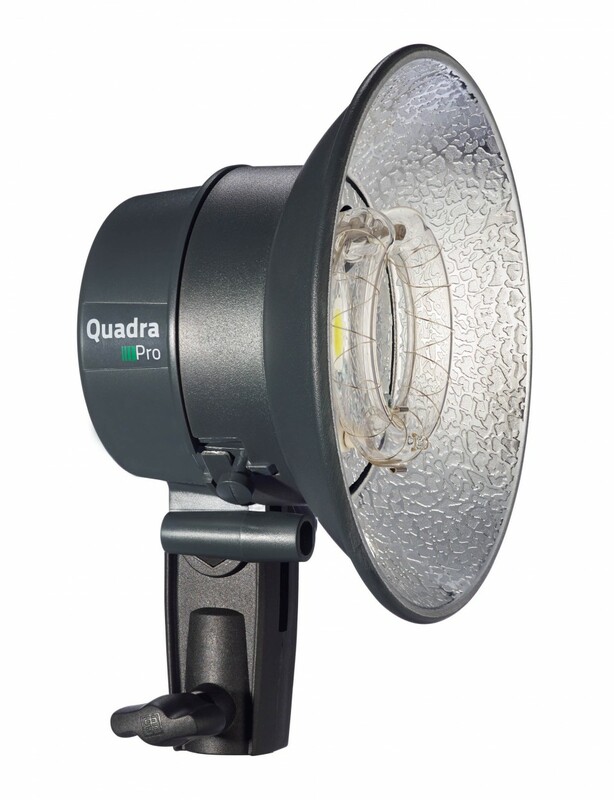 To accommodate the “strobists” amongst us, Elinchrom’s ELB 400 and the Quadra before them are one of the few studio strobes on the market that support HyperSync. 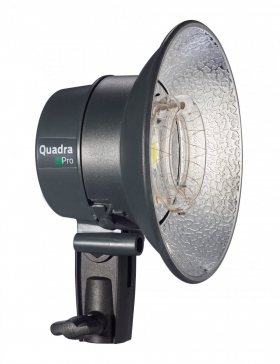 Until Elinchrom come out with their own solution, you will need the Pro heads and a trigger that supports HyperSync technology such as PocketWizard’s Flex or Phottix’s Odin. 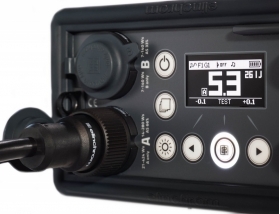 HyperSync technology takes a slice out of the full flash curve allowing sync speeds much greater then 1/320 sec. This is why action and sports photographers particularly appreciate this technology. I work differently, just using the quick flash duration of the Action heads to freeze the movement. The Lithium battery has been improved, with 350 full power flashes versus the former 280 previous battery at full power. 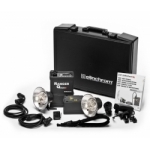 It is very unusual to be able to work at maximum output and get so many flashes per charge which puts the ELB 400 in a league of it's own. 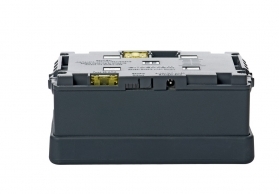 Another important aspect for the capacity of the battery is the energy management. 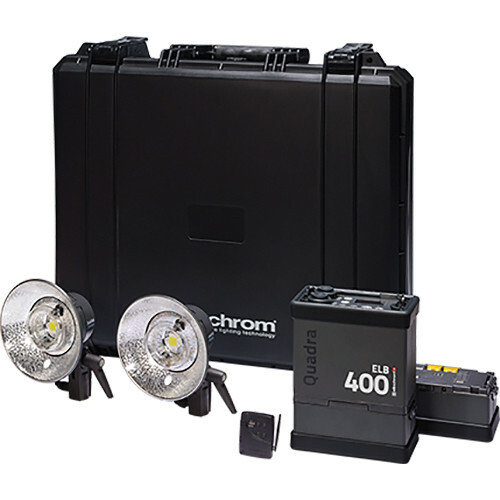 The ELB 400 gives the user complete control over when the units will automatically turn off the modeling light, put the unit to sleep or turn it off completely. Charging the Lithium battery is very fast, from dead to full charge within one and a half hours, and dead to 80% charge in only 50 minutes, providing another 280 full power flashes. 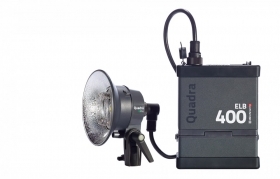 If you work in the studio or on a location where there is access to a power socket, the battery can be recharged whilst shooting, recharging between shots. One question people always ask me is, “How many shots can I get out of a fully charged battery”? 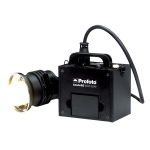 This depends on the power of the flashes. When I work a whole day with the ELB 400. I manage to work a whole day with one battery making about 400 to 500 pictures at 60% of the output and no modelling light. 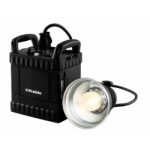 This an astonishing amount of flashes for such a lightweight strobe. To do this with speed lights, you’ll need four of them to produce the amount light an ELB 400 can output and a truck load of AA battery’s.